In the 1920s, Mary Henry and her husband purchased a farm in Gladwyne and built a family home there. From the beginning, Mary saw it as much more – the natural beauty of the landscape’s many uncommon features and the possibilities it afforded to become a uniquely special place. Mary Henry saw the garden she was formulating not merely as an avocation or as the chance to fashion a floral showplace to enhance her home but also as an unparalleled opportunity to create something meaningful and useful. Thus the garden would become, through her growing repertoire of horticultural and botanical skills, something that would benefit the natural world, which she held in such high regard. With the keen eye of a natural conservationist, Mary Henry observed the incessant encroachment of the presence of man and civilization on the various environments of so many plants growing in wild places. 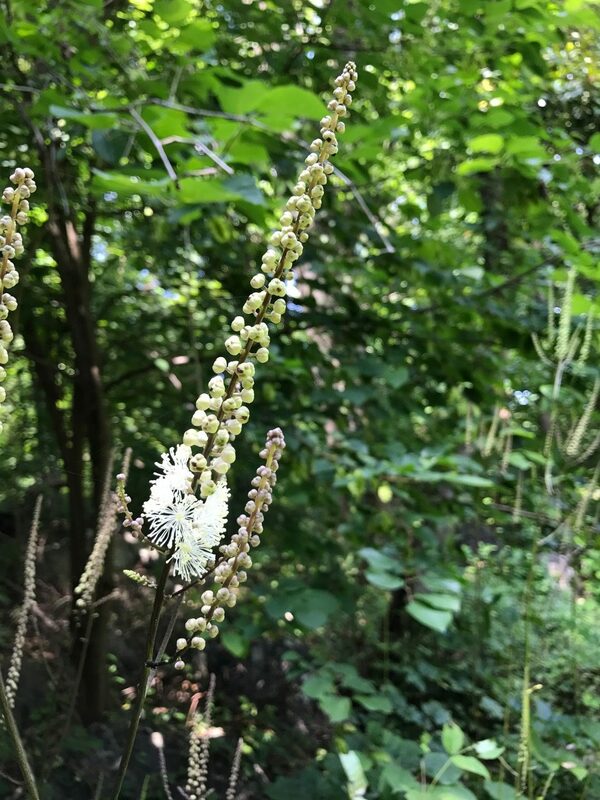 She sought to preserve North American native plants, and save them from the degradation and loss of natural habitat that put incessant pressure on their survival. And Mary Henry’s keen early ecological observations allowed her to bring to Gladwyne hundreds of plants native to many diverse parts of North America. In her garden, she sought to recreate mini-habitats where these plants could not only survive but hopefully prosper in an area so very far from their original native sites. Additionally, due to her well-known successes, she was the recipient of many gifts of plants from botanists and horticulturists in North America and abroad. Mary Henry’s keen early ecological observations allowed her to bring to Gladwyne hundreds of plants native to many diverse parts of North America. Mary Henry was determined, focused, and undaunted by the scope of her ambitious undertaking. She proved to be resourceful, and indeed unafraid of the hard physical work involved in finding choice plants in the wild, even in the most remote locations. But her vision and tireless work created from the original landscape a ruggedly beautiful and tranquil wilderness garden. And while it looks entirely natural and wild, even effortless — its appearance belies the enormous effort it actually took her to create it. The Henry Botanic Garden is a historic garden created by Mary Gibson Henry (1884 – 1967), who was a noted 20th century horticulturalist, naturalist, and skilled field botanist. This garden provides a stunning untamed oasis in the heart of Gladwyne, Pennsylvania. The garden is home to an impressive number of superb collections of prominent plant families. 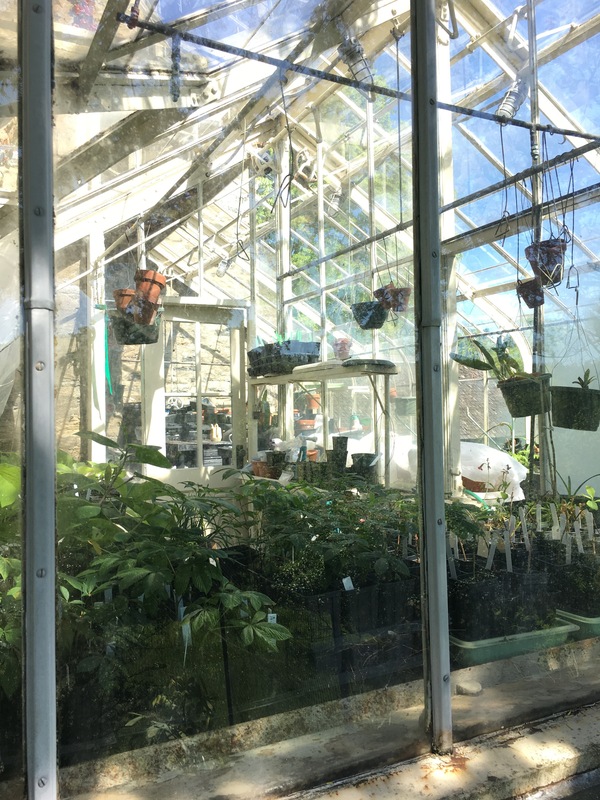 With a strong focus on woody plants, a visitor can expect to see Magnolias, Styrax, Hamamelis, Halesia, and Rhododendrons — as well as a notable collection of herbaceous plants. The garden features broadly varied terrain portraying a host of natural environments, from high rugged stony outcroppings and spare alpine sites, to lush dappled forests, to soothing riparian glens, to broad open meadowland. The Henry Foundation enhances understanding of the natural world through the study of botanical arts and sciences to inspire responsible stewardship of the environment.